France, particularly Paris, has been the home of so many amazing dance records from the past 20 years and beyond. 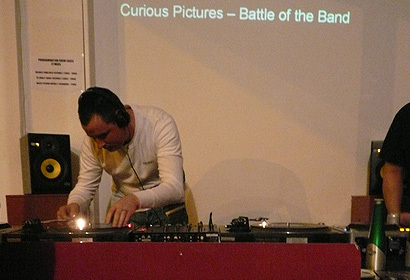 While in the UK we were getting on with our Brit Pop, our friends across le channel were creating electronic music that would stimulate a generation to get on the dance floor. 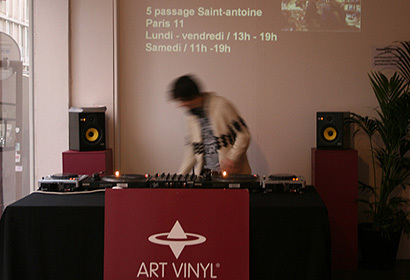 For this exhibition Art Vinyl were honoured to partner with Technopol, the official body in France that promotes the culture of electronic music. 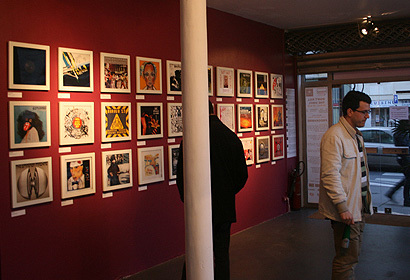 The idea of the exhibition was to allow the DJ’s and Labels to curate an exhibition from the music that inspired them through a gallery wall of 55 great sleeve designs from French electronic music. 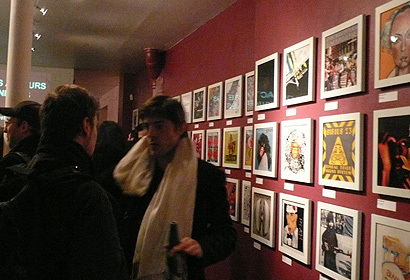 In 2008 the message ‘Don’t kill the vinyl’ clearly was to become true as these events were the beginning of a vinyl revival we now see in all music genres. Certainly, during the many years that mainstream music was not distributed on vinyl it, has been the DJ world that kept the few pressing plants busy as DJing with vinyl prevailed as the authentic way to mix dance music.